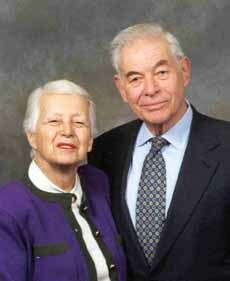 Gerard and Lilo Leeds founded the Alliance for Excellent Education in December 1999, and served for many years as the first chair and vice-chair, respectively, of its board of directors. In 1971, Mr. and Mrs. Leeds launched CMP Media, Inc., which became a leader in providing information and Internet services for high-tech industries. The company was well known for its socially responsible policies, especially for its pioneering onsite day care center. When, in 1988, they turned the management of the company over to their sons, Mr. and Mrs. Leeds turned their attention to giving back to a society that had been very good to them, principally by working to improve the education of children at risk of failure. 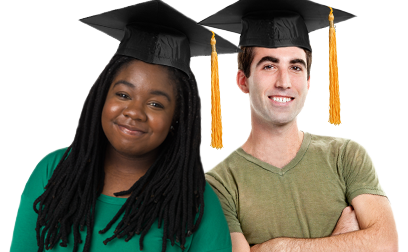 In 1990, the couple launched the Institute for Student Achievement (ISA), which works in partnership with low-performing school districts to help at-risk middle and high school students. ISA provides high schools with expert professional development, coaching, and support so that the schools can sustain a structure and environment conducive to student success. Named for Mrs. Leeds’s mother and father, the Caroline and Sigmund Schott Foundation, headquartered in Boston, MA, works on early childhood education and care, gender equity, and education financing issues. The Leeds family recently launched the National Academy for Excellent Teaching at Columbia University’s Teacher College, which brings together prominent faculty, experts, researchers, and outstanding teachers to reinvent how the nation can upgrade the skills and knowledge of high school educators for higher student achievement. Refugees from Hitler’s Germany, Mr. and Mrs. Leeds came to the United States in 1939. Mr. Leeds earned a bachelor of arts and science degree and an honorary doctorate degree from Adelphi University and a masters of arts degree and honorary doctorate degree from the State University of New York at Stony Brook. He taught management at Long Island University and Hofstra University, and lectured annually to MBA students on socially responsible business management. Mrs. Leeds earned a bachelor of science degree in mathematics from Queens College, and a master of arts degree from the State University of New York at Stony Brook. She received an honorary doctorate degree from Stony Brook in May 1996, and an honorary doctorate degree from Queens College in 1998. Mr. and Mrs. Leeds were recipients of many civic awards, including Socially Responsible Entrepreneurs of the Year, the Long Island Association Humanitarian Award, and Outstanding Philanthropists of the year for the Long Island chapter of the National Society of Fund Raising Executives. The couple also was honored by the Urban League of Long Island, the New York State chapter of the NAACP, the New York State United Teachers union, and the American Jewish Committee. They were cited by Newsday in its report on “100 Who Shaped a Century,” and were among the ten honorees selected by WCBS-TV for recognition in its annual “Fulfilling the Dream” celebration of the birthday of Dr. Martin Luther King, Jr.
After long and full lives, Gerry Leeds passed away in 2014 and Lilo Leeds passed away in 2016.